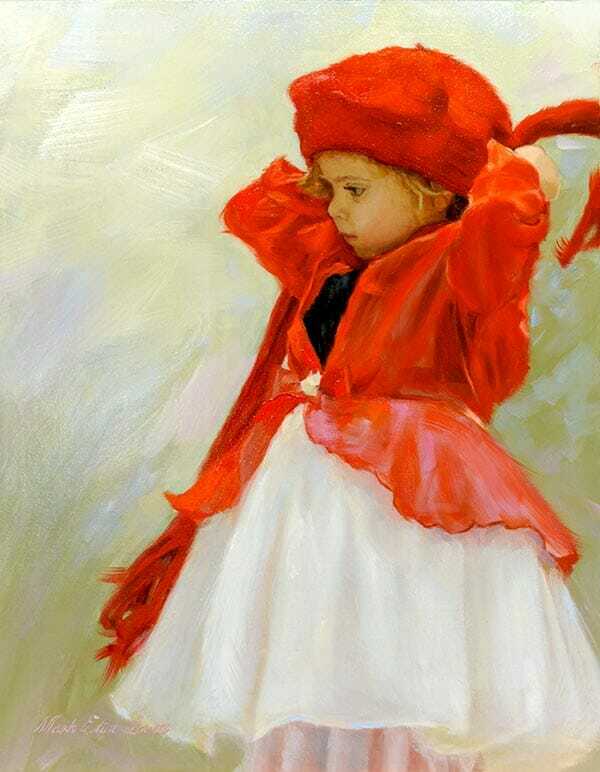 A lthough portraits in museums across the world generally depict royalty, gentry, and the great, should you want to immortalize someone in oil, you need not be blue-blooded. 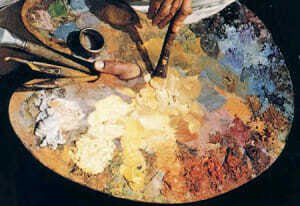 Today, portrait paintings are commissioned by individuals, groups, clubs, corporations, and governments. 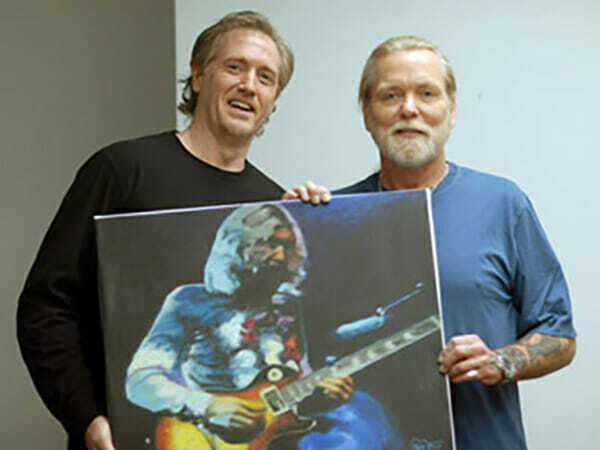 Mark and Gregg Allman holding portrait of brother Duane Allman, backstage before an Allman Brothers Band concert in Virginia. 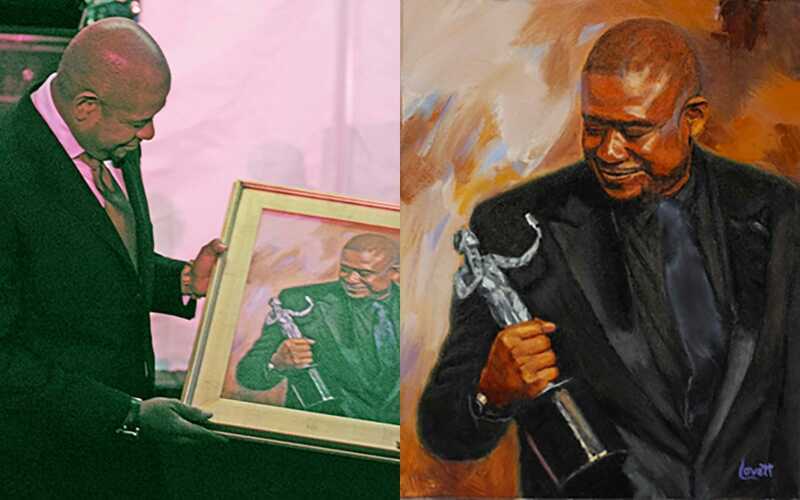 Famous actor, Forest Whitaker, receiving oil portrait painting by Mark Lovett at event in Washington, DC . 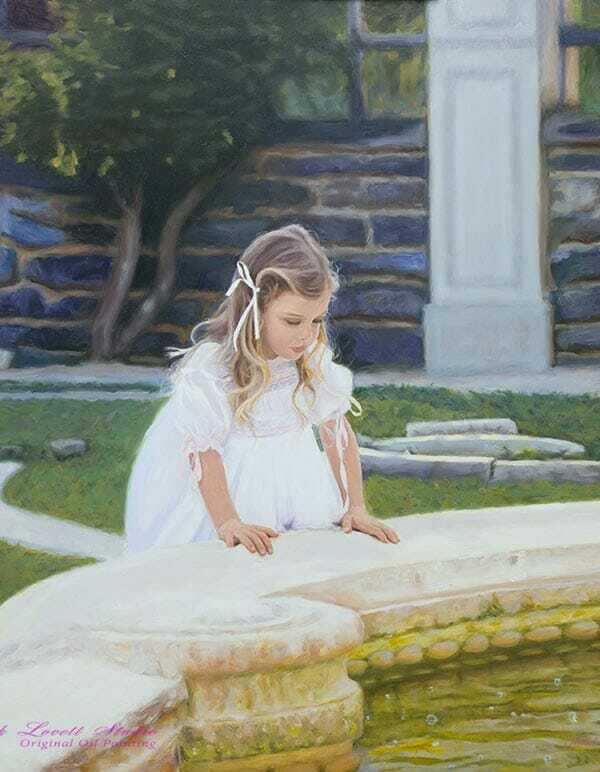 Commissioning a well executed portrait painting of a family member becomes a cherished heirloom often considered one of the family’s most rewarding experiences. 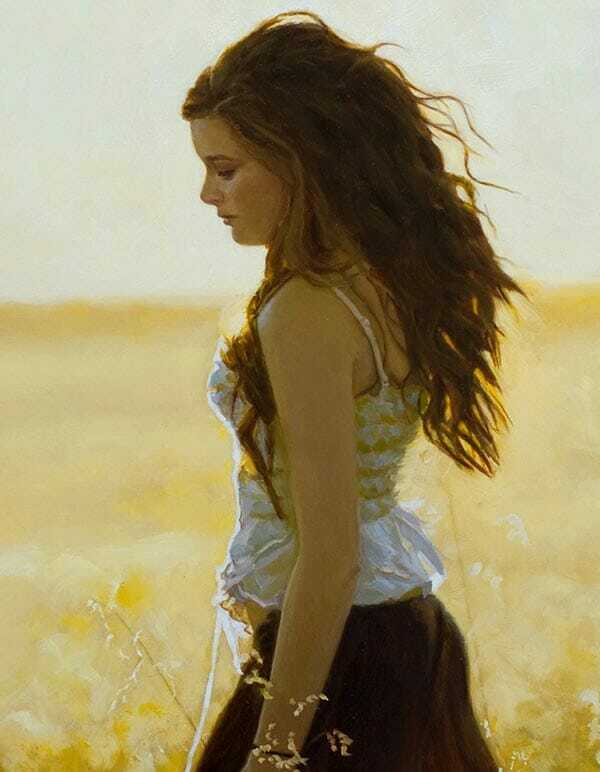 Where will the painting be displayed? If you have a good idea where the painting will hang, it will help us make size and color determinations. Do you prefer a formal or informal look? Answering this question will help us make clothing, photo session location, lighting and background decisions. 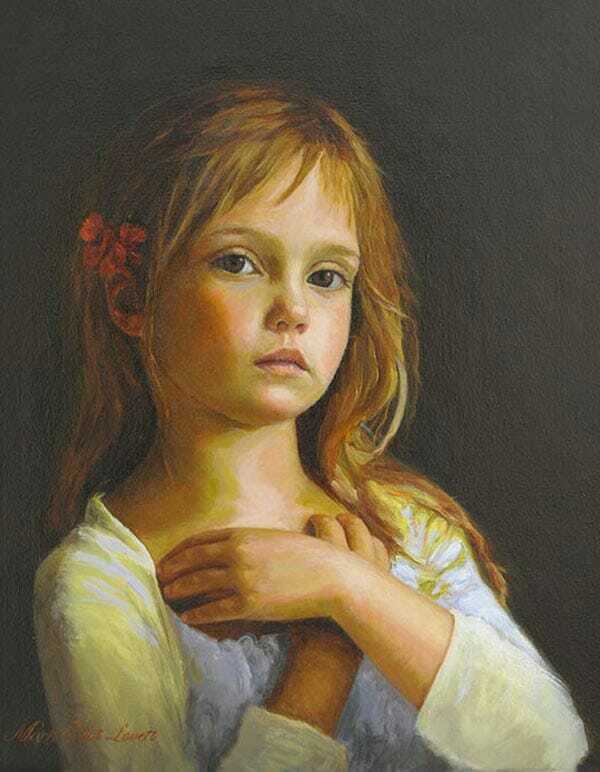 Historically, having your portrait painted was a rather grueling experience comprised of multiple sittings, ranging from 2-4 hours each, spread out over many months. 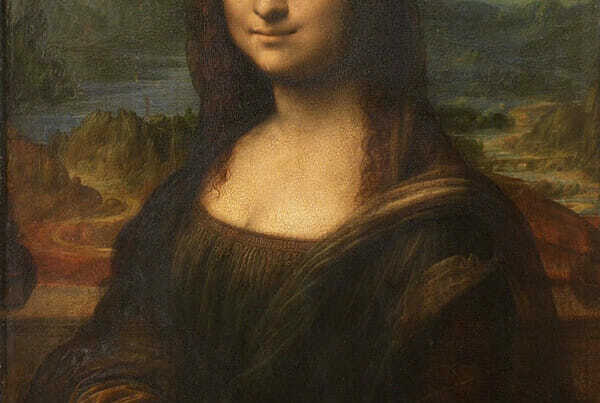 Last year I painted the Mona Lisa for a client, and did a tremendous amount of research on painting methods of Leonardo Da Vinci and other artists of the time. Now I understand the difficulties they faced in creating a high quality portrait in those days. 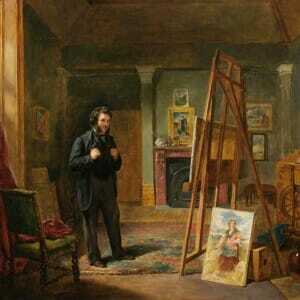 I don’t know about you, but if that was required of me, I would never get a portrait made! Of course, today it’s much easier and can be great fun to have a professional portrait created. 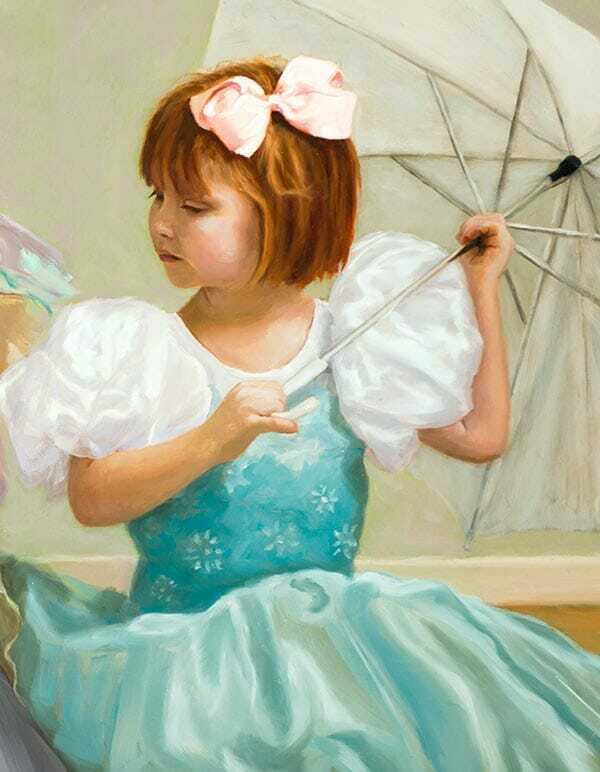 If you use a portrait agency or broker to find a painter it will be much more expensive because they usually take about 50% off the top resulting in doubling the price to the client. If you can’t find a great painter without the help of an agent, and you dont mind paying the extra money, then that is a perfect option for you. 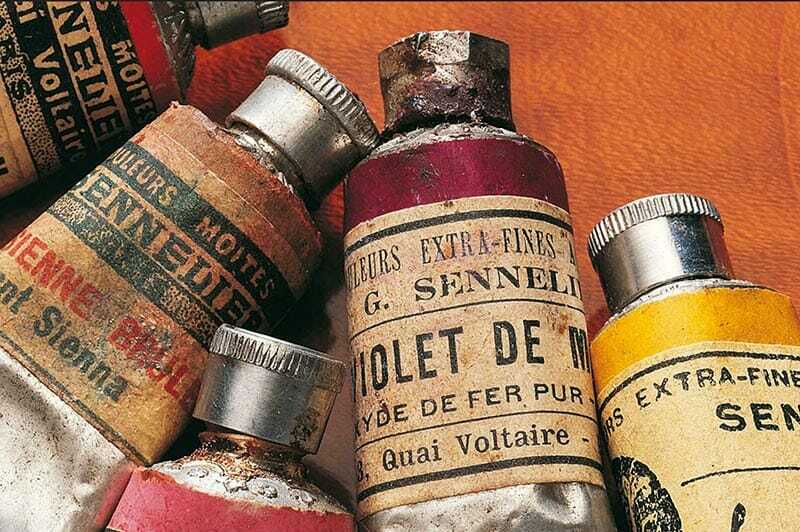 However, given that most great artists work can be found and viewed online by a simple google search, chances are you’ll find an artist whose work you love, and you’ll make contact requesting more information about price and process. It usually starts with an inquiry from a potential client for more information, as it did in this case. We discussed client goals, ideas, pricing and process, and by the end of the call we decided to start with a photo session. I’m a professional portrait photographer and I love to have creative photo sessions with my clients in my studio, outdoors, in the client’s home, or any place that might be inspiring. The client was located within 45 minutes of my studio, so it is easy to schedule an appointment and have a great photo session. Afterwards, I spent quite a bit of time culling through images and working on them a bit. Within a couple of days I had loaded the images from the photo session into an online photo gallery and emailed the client a link to the gallery. 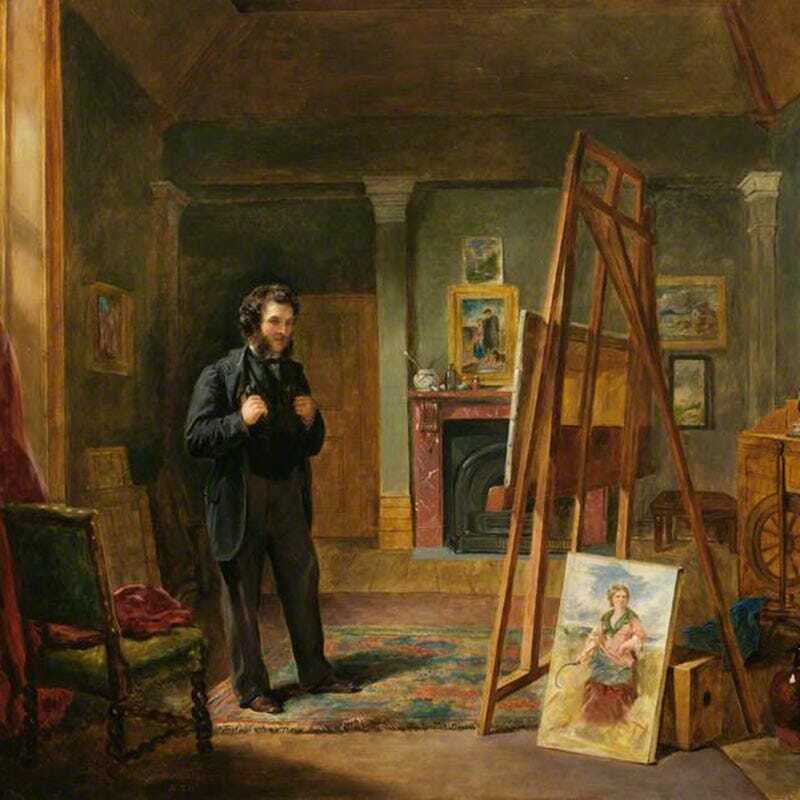 After deliberation and further discussion about which images, crops and backgrounds would lend itself to becoming the best portrait painting, we chose an image/images to use as the resource inspiration for our painting. 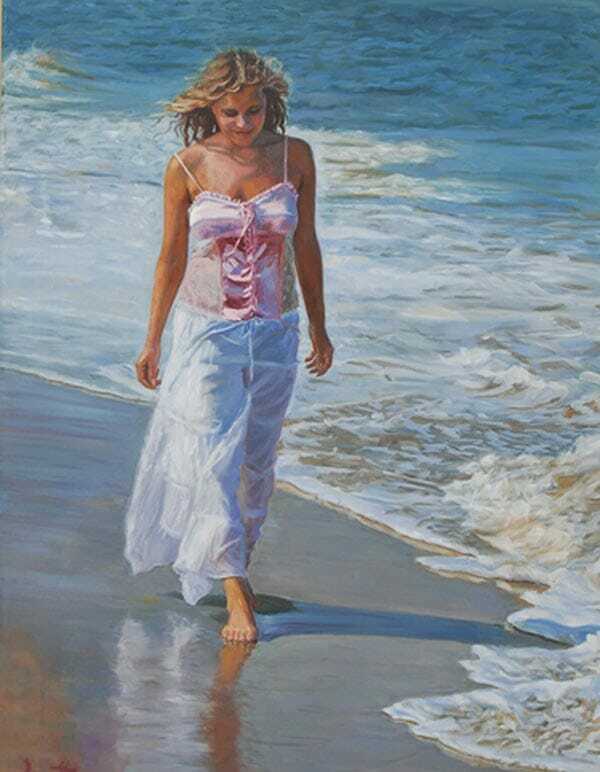 To get started on the painting, we put a simple agreement in writing, received a 50% deposit, then I hand stretched the finest linen canvas and placed it on my studio easel. A couple of months later we delivered the finished painting to the client and received the balance. Our client was very happy with my work and it was an awesome experience! We love to make it very easy and fun! 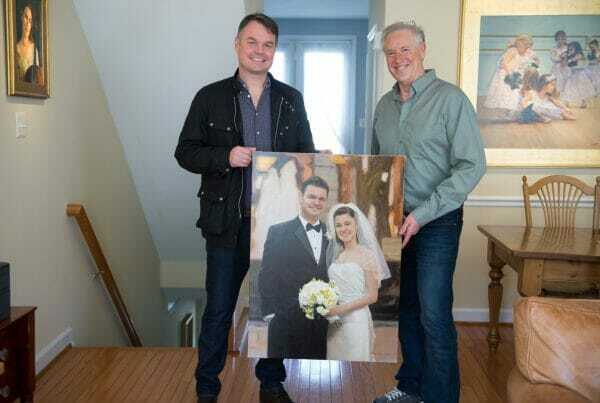 Below is an image of Dad, Mom and Chase proudly holding his oil portrait painting. 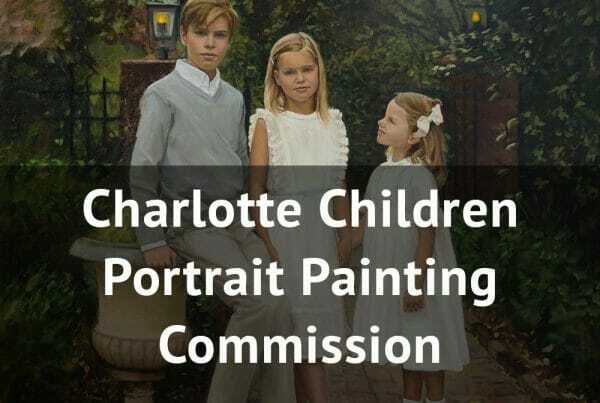 Read the Review on Google+ of the portrait painting experience written by the family. 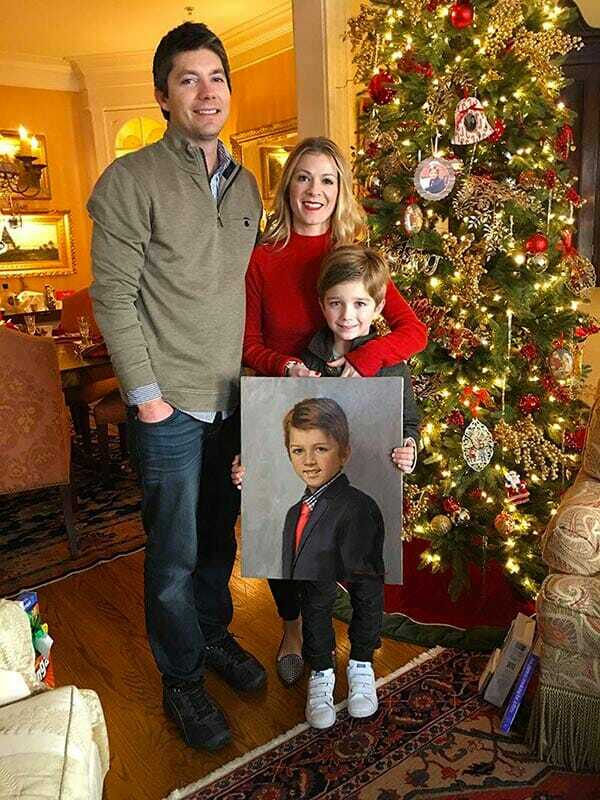 “My husband and I decided to commission an artist to do a portrait of our seven year old grandson as a Christmas gift to our son and daughter-in-law. 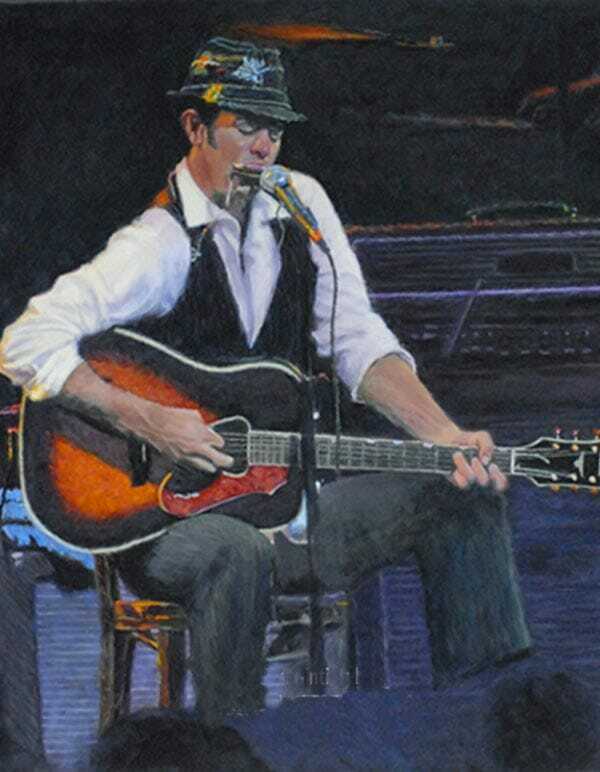 I did some research on Google and after looking at Mark’s portraits on line I knew he was the one. 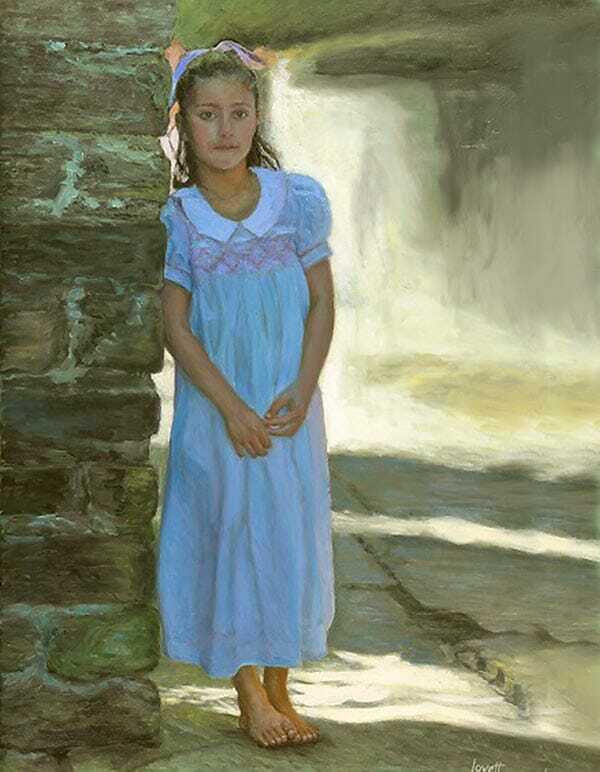 His portraits of children were especially appealing. We set up an appointment for a photo session. 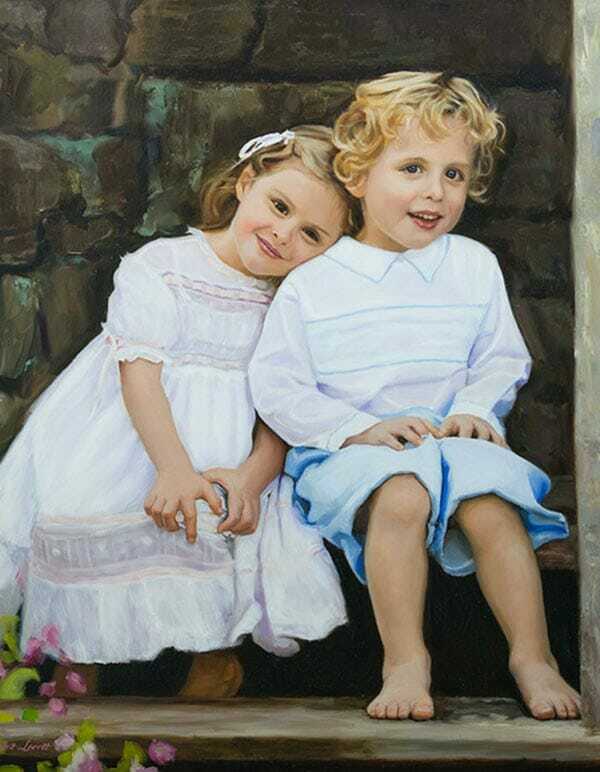 See more “Commission a Portrait Painting” articles about my portrait painting commissions!